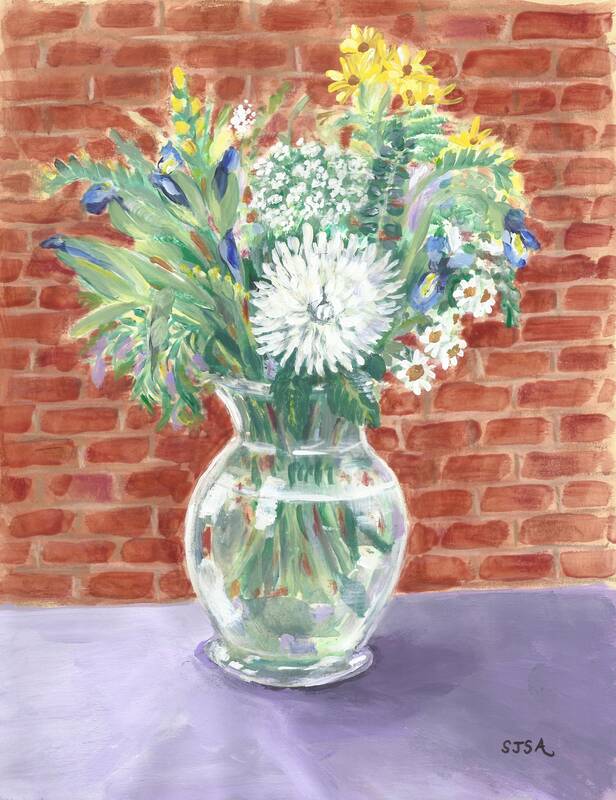 "Lavender And Brick" is my original painting of a full vase of flowers from the garden, set against a burnt-orange brick wall. Mixed media (pastels combined with acrylic) on acid-free cardstock. 8.5" x 11" painting. The original art is signed, and ready to be matted and framed as desired. Artist signed certificate of authenticity included.